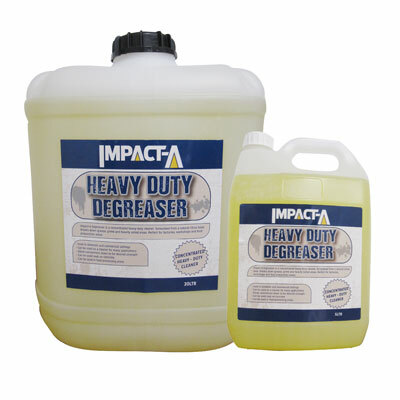 Impact-A Degreaser is a concentrated heavy-duty cleaner, formulated from a natural citrus base. Breaks down grease, grime and heavily soiled areas. Perfect for factories, workshops and food preparation areas.